kingandcompany :: New UNDERBUST CORSET PATTERN available on ETSY- FROM KING AND CO.
kingandcompany :: More Coutil is Here! aurora_natrix :: need grommets please! Hi Everyone!- We've just received a huge busk order and thought that we'd celebrate by holding a flash sale! rigid busks, english coutil, perfectly rolled grommets, shiny garter clips and even double sided fusible, aka. wonder under! Last night I started the task of cleaning out my Vintage/Antique books and sewing patterns. I made it through 1 shelf. I am offering quite a few books and ORIGINAL patterns from the 1870s-1880s for sale. I am asking below what they sell for on ebay. I have them listed in my ETSY SHOP. I am willing to give a 10% discount if you would like to skip etsy and just use paypal. Items are shipped within 48 hrs of receipt of payment. I am a fashion designer and am cleaning out my studio at the moment. The items I sell are leftovers of things I bought to try out but didn't use. I will be adding a lot more things over next couple of days. 1. Now I am offering a roll of latex from Radical Rubber along with a glue kit for latex. The rubber fabric is 1m in width and then 7m length on the roll. I cut off a piece of maximum 30cm. The roll came from UK and cost me 90,- euro including shipping. I am trying to find someone in Holland who would be interested to take it off my hands. If you know of anyone please let me know. I would like to sell it for 60,- euro. 2. On eBay I am selling a lot of knitting yarn. Vintage, handmade, and good quality new stuff. A bit of everything since I had quit a big collection. I have a lot of rare sorts of wool/cotton yarn, handmade, vintage and new. I'm offering them as job lots. Have a look! *I will be adding more fabrics on eBay, because that's easier to post. I could also sell the latex through eBay if anyone wants, but the shipping cost would be big so you're probably better off buying the latex straight from Radical Rubber in UK. I now have 12" (330mm) conical busks in stock at www.sewcurvy.com. They are sturdy yet flexible, made from stainless steel in Germany. They have a bit more spring than the thicker stainless steel straight busks. Edit: My online shop is priced in GBP sterling and the payment gateway is Paypal who have their own exchange rate which changes daily. If you are paying in Euro's then the price is about €11-13, and if in USD then the price is around $16-20. Those are my best estimates today. Right. What is one of the key items that most corsetmakers covet? An appropriately shaped mannequin! I love my decoupaged mannequin. She's the ideal shape for displaying modern corsetry (21" waist, full hips and bust) and she's covered in beautiful little bits of history, clippings from old newspaper articles featuring seemingly old fashioned names such as "Mrs Mallory Bell", and vintage advertisements for the latest fashions. She was the first decoupaged mannequin of this style that Lucy at CorsetLacedMannequins made and I can't say enough good things about Lucy's customer service or my beautiful mannequin. I am pleased to offer a custom pattern service for basic shaped corsets as shown. note: originally posted in corsetmakers by mistake! apologies. New UNDERBUST CORSET PATTERN available on ETSY- FROM KING AND CO.
We are pleased to offer a new pattern available in our Etsy shop! If you shop now you can save 25% off the normal retail price! (Special promotion price $11.25- Limited to the first 5 of each size) Please take a peek in our shop. Hello all. I still have surplus stock of 12" corset busks. These busks are from Germany and are very good quality. I am selling lots of 10 busks for £52.00 which represents a saving of 25% off the regular retail price. Post and packing is by recorded delivery to the UK this works out at £3.50, and airmail to the rest of the world at approximately £5.50 to Europe, and £8.00 to the rest of the world. Click through to my website at Sew Curvy Corsetry to get yours. $25 Wissner spoon busks! I haven't found them anywhere for that price, and the seller ships very quickly. I have a grab bag of corset supplies that you all might be interested in. Boning, busks and grommets! I am in dire need of 6mm Boning Caps, but my local has run out of stock for them...I am making just a plain Pattern corset, but its to go under a Competition piece that I have to debut in a Month, so I need them really quickly...Does anyone know where I can get some?? My goodness gracious, let me tell you the news... You all loved this coutil! So much so that we sold out and already had to re-order! Now back in stock is a whole slew of black and white coutil imported from the UK mill. Please check out our Etsy page. Our price is more than $5 less per yard than any other retailer, and that's even before you add in their astronomical shipping. If you purchase a yard, the shipping is $4.90. Please convo us through etsy if you wish to purchase more than a yard, or combine colors. Just wanted to pass along the info! Today is your last day to receive 10% your entire order. Many people have taken advantage of the sale and stocked up on imported coutil. If you see something and want a custom order, convo me and I will put together the listing honoring the 10%. 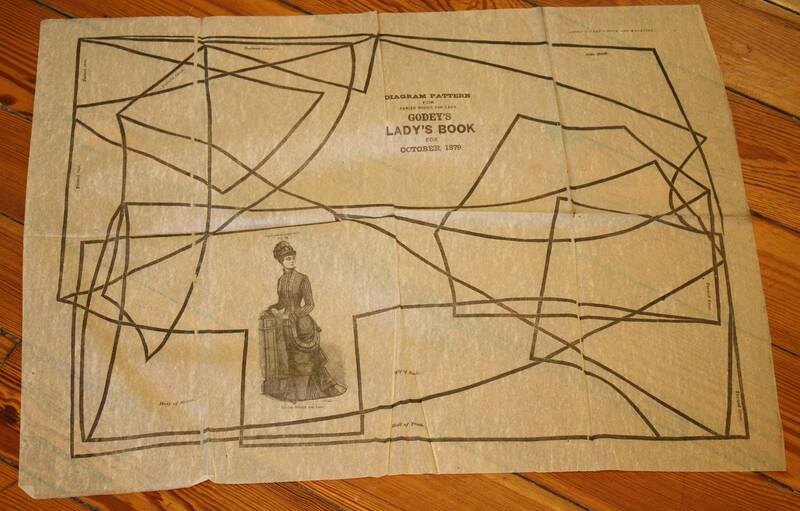 Also, starting next week we will be adding hand drafted corset patterns. The patterns are made to fit a modern body and feature some killer curves that will blow the "other guys" out of the water! Remember, 10FWOD is the code to enter during checkout to receive your 10%! Here at King & Company we strive to bring you quality goods for less than everyone else out there. We get our busks made to our exact specifications and we have been told they are the best out there on the market! Please review our etsy store to see for yourself, and remember, if you ever want to combine something just ask! We are more than happy to help. I have some surplus stock to clear. I made a little table here for easy reference, but it can all be found on my website on the shop page marked "wholesale" (I had to mark it wholesale because my website seems to organise things alphabetically!). Click HERE to get to the shop. There are no pictures on the page because the goods can all be seen elsewhere on the site, and I guess if you are buying in bulk, you pretty much know what stuff looks like! the Coutil is a fine herringbone, stiff, English made and 190cm wide, you can cut ALOT of corsets from 5m. Postage costs are approximate but as near as accurate as I can make it, and I will post anywhere. I have not put postage on the bigger wire bundles for Europe and ROW because I think the cost may be prohibitive but all items will be posted either first class to the UK or airmail to Europe and ROW. In addition, if you pay postage and it turns out less when I get to the post office, I will refund the excess paid. Dragontown corset supply as i had bought from there in the past, but they dont seem to have any instock, nothing was showing up in my cart. I have emailed to ask if there is going to be any more and a time frame. so just to back my self up i am asking around if there is another supplier who sells by the yard. ive seen a few selling the quarter inch, faireladydesigns caught my eye in particular because i could buy a decent amount continuous. So if i cant find the half inch spirals, does it realllllllllly matter?? id prefer the half inch either side of the seam, will the quarter inch be 'good enough' so to speak? Now ive been seeing this pleated satin ribbon on all kinds of corsets recenty, like in the pic (from Sweet Carousel corsetry) im wondering if any one knows where i could possibly buy some, or at least have a look at and decide if i want to!! Ive had a search on etsy, but maybe i missed the sales or didnt use quite the right key words. Does anyone have a good supplier with a great price on bone casing? I have found only one place where I can get it in a bulk roll. Who do you get yours from? I'm searching for a wholesale source for coutil in the US that doesn't require an unreasonable quantity per order. I currently am only creating corsets for family and friends but making enough of them to need a cheaper than $22.00 plus shipping per yard price on coutil. I was wondering if anyone could sell me 3 dozen two part gold 00 grommets. corsetmaking.com requires a $10 minimum and their shipping is ridiculous! I can paypal the money.